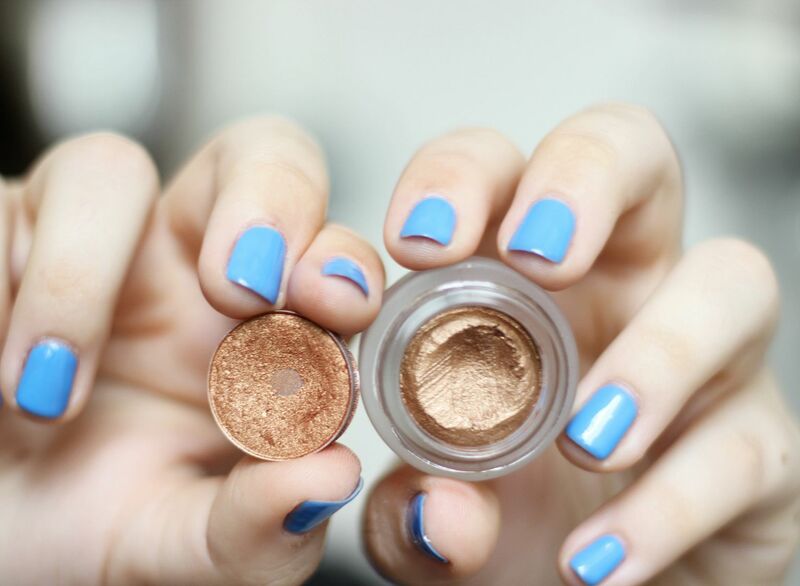 Is there anything better in summer than gold eyeshadow? I think not, sir, I think not. All we need now is some sunshine and some margaritas and we’re good to go. For now though, I’ll settle for my two favourite shades. More specifically, Charlotte Tilbury Bette all over the lid. I was using my fingers, but I find that a flat synthetic brush works so much better and means I don’t end u wiping gold shadow on my jeans… This is the nicest cream shadow and is so pigmented and sheeny. Highly recommended. On top of that, my old faithful MAC Amber Lights comes out to play. This is one of my all time favourite shadows – creamy, pigmented, smooth… How I love thee. Both of these products are gorgeous on their own, but layered together create something so pretty and basically my warm-shadow lovers dream.